I’m here to tell you that is not always the case. One day I was swimming in the warm calm waters off of the gulf coast of Florida. 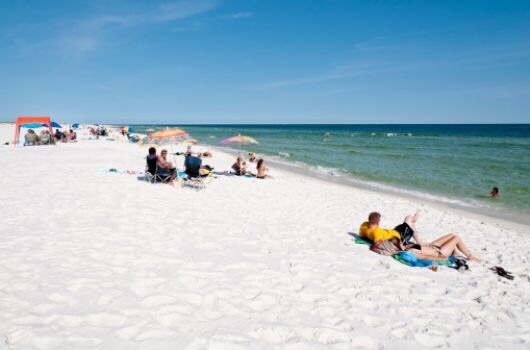 This wasn’t in the wilds of some s shark infested waters, oh no, we are talking touristy beaches of gleaming white sand, lot’s of noisy people and friendly shores much like the “friendly skies of United”. 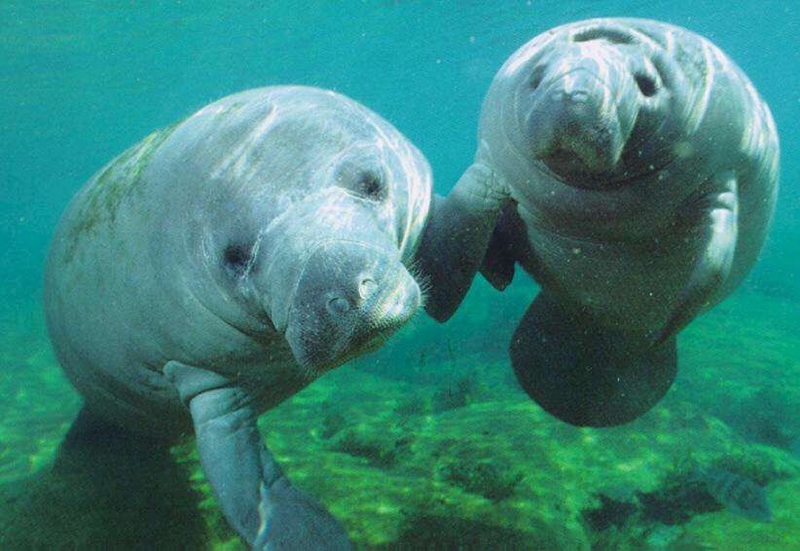 Manatees are common in this area of Florida but not so much in the waters of the gulf, close in to shore. Primarily they like to congregate in the warm water canals and inter-coastal water ways that extend North to South and coast to coast. 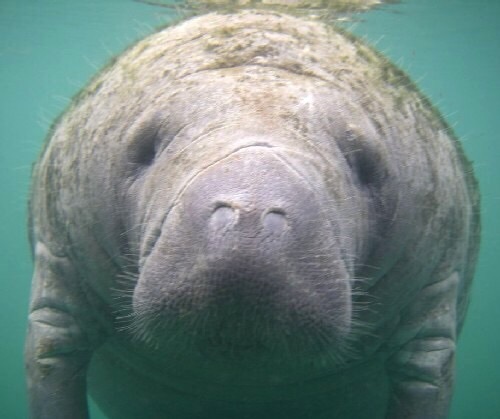 On this particular day the last thing on my mind was seeing a Manatee or any other sea creature as I had the pleasure of handling the beautiful and enchanting, Elvira Peckinwood. Now she was a keeper. Elvira and I were done exploring the beach for shells and were now into exploring other things, if you know what I mean. Just then, an eruption of momentous proportions right there beside me in the gentle gulf waters! A huge, dark, shadowy figure passed right by me followed by this explosive splashing that I just knew was a twenty-foot killer white shark! Fear ran up and down my spine and all I could think of was getting my feet to shore so my little legs could run up and down the sandy beach. But then I heard Elvira Peckinwood cry out, “help me, help, help, it’s a “Crazed Manatee”! Well just what was I to do? So I put my fear aside, don’t ask me which side now, just aside ok? I put my fear aside and started swimming not to shore and the presumed safety of the white, sandy beach, but out towards Elvira, into deeper gulf waters where the vicious Crazed Manatee was staging its relentless attack on the love of my life, Ms. Peckinwood. Stroke, stroke, breath, stroke, stroke breath. Faster, deeper and further out into the darkened waters I swam. By this time Elvira was beside herself as the Manatee was right beside her which is when I swam up beside both of them. I said,”don’t you worry Elvira, just grab on to me and we will swim to shore together”. That sounded good as I appeared to be fearless and heroic and generally in charge of things, but I’m telling you, that was not the case at all! However, perception is everything and as long as Elvira chose to see me in this manner, well I was going to let her. Stroke, stroke, stroke ahhh! Just as we were about to reach the shore, the gigantic, huge, I mean big darkness was right there at my dangling feet and… I saw that it certainly was a Manatee alright but probably, most likely not crazed. For it was not one huge gigantic… thing, it was two, yes two Manatees and they were loving it up! Elvira saw this and said to me, being the expert on Manatees that she was, “you silly goose, those Manatees aren’t crazed at all, as a matter of fact they are probably enjoying the bliss of their communal relationship as Manatees are pretty much monogamous you know, and it is mating season”! All was well again on the gulf coast of Florida, yes sir. ~ by Vinnie on May 27, 2015. There is NO evident, runaway greenhouse effect on Venus at 1 bar,. open source tasks as well as programs.